Our site coordinators become members of the campus community, and promote a collaborative approach to addressing students’ most pressing needs. “Mendez puts emphasis on and values collaborative partnership. I am a part of the Response to Intervention Team, which is composed of school counselors, teachers, and administrators to discuss individual students and appropriate interventions. We use a social emotional lens to ensure that we are address- ing issues that are surfacing in the classroom and in the community or at home. We have students who are accessing multiple services and our coordination ensures that communication and support for all of our students remains the priority. Principal Bautista and I have developed a positive and unique relationship. I truly respect the work that he does, his vision for the school, and we have established trust between us.” said Kenn. 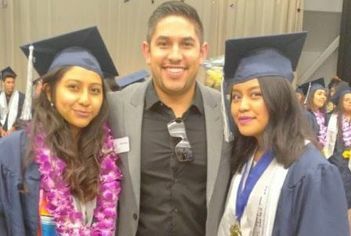 As a result of our partnership, the CISLA team has had a great impact on the college/career readiness goals at Mendez High School and we continue to see an upward trend in graduation numbers and 2-4 year college acceptance.